A beautiful tropical beach is quite a special thing to behold but thanks to the onward march of tourism, many tropical beaches are not now as peaceful as they once were. If you’re really looking for a piece of paradise then no doubt you’re in the market for somewhere without a high rise or neon strip of bars and clubs in sight. There are many tropical beaches around the world offering turquoise seas and soft white sand, but not all have the incredible peace that you will find in the world’s remotest spots. 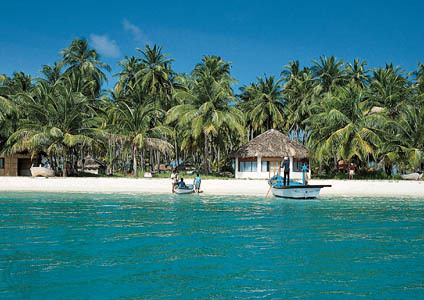 The Lakshadweep Islands lie in the Arabian Sea, just off the west coast of India. If you have an idea in your head of what a tropical paradise looks like then this group of islands might well fulfill it. With bright white sand that is soft and fine to the touch and sparkling azure seas, swaying palms and endless hours of sunshine, Bangaram Island and the others in the group are seriously good looking. Bangaram is one of only three islands in the group that foreigners are permitted to visit, but thanks to the substantial distance from the mainland the beaches here remain pretty serene. 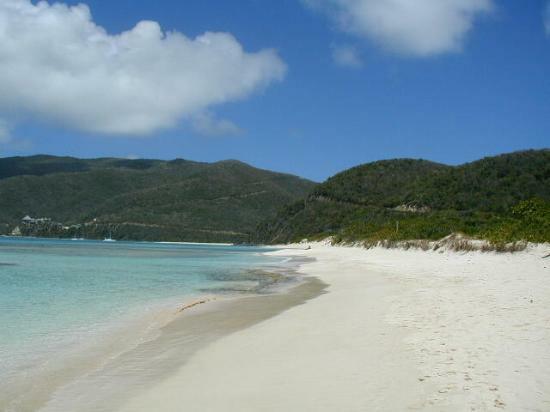 If you head to Savannah Bay then your holiday snaps from this part of the world are likely to consist of a fine stretch of golden sand, gently breaking waves and that deep blue for which the Caribbean Sea is famous. Other than lushly carpeted hillsides and perhaps the odd yacht en route from one of the other, more popular destinations, that’s about all you will see here, even if you sit and watch for several hours. Visitors here describe this as a people-less paradise and when you’ve had an entire day of uninterrupted beach time here you’ll understand why. Taking a trip to the most picturesque beaches in the world might sound like paradise, but you should ensure you have the experience to match by securing the right worldwide travel insurance quote. There are a wide variety of policies available for every destination across the globe – and every activity you could wish to undertake. So make sure you plan ahead and get your holiday off to the best possible start. With a journey of 50 miles separating Oro Bay from mainland New Caledonia, this is a spot with sufficient distance from the more populated islands to virtually guarantee a quiet and peaceful atmosphere no matter when you go. With its endless beach that is devoid of other inhabitants most of the time, pretty islets on the horizon and backdrop of beautiful pine forests, Oro Bay is an incredibly picturesque and peaceful spot. The odd cruise ship does stop off here and that can be a less quiet time, but other than that there’s really no one here but the sea life. The Cook Islands is blessed with a number of stunning tropical beaches and, despite the increased popularity of this place as a destination, there are still some pretty secluded spots on most of the islands. One Foot Island, however, offers super seclusion, with the only other people you’re likely to see arriving on the odd boat trip stopping off from other islands. Oh, other than Lester the cat that is as he is One Foot’s official president and only resident. There are many peaceful tropical beaches in the world, but often the issue is trying to find them before everyone else does. Here are some of the less well known – but definitely worth a visit – best kept secret tropical beaches in the world.